Closing more deals is the number one priority for any small or medium Enterprise. Yet many organizations are still following outdated sales processes and in turn losing out on the benefits of their efforts and falling prey to adversities due to a prolonged gap in sales. 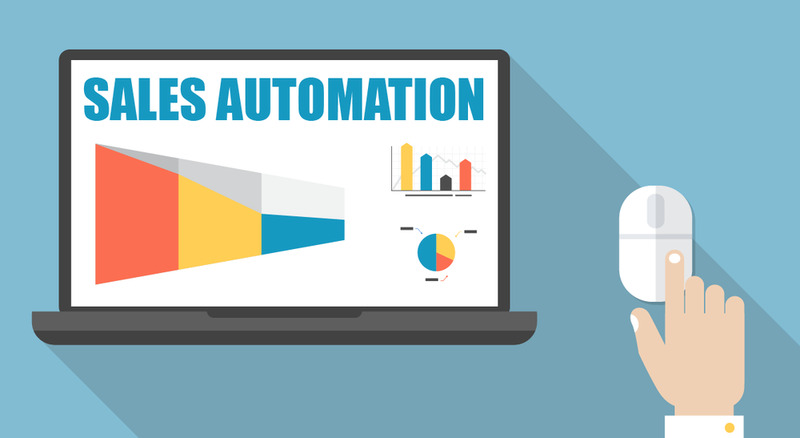 Embracing Sales Automation is the solution to counter prevent these adversities. Salesfundaa CRM software provides a Sales automation platform that streamlines your sales process and ensures your team is focused on the right opportunities and isn't wasting time on routine or tedious tasks. You can use this technology to automate your sales process, and ensure that your team will spend time in actually making sales. Keeping in communication with your clients and prospects can be rather time consuming as it involves calling, emailing or visiting in person in order to engage them and keep them interested in your product. Since following up on a lead is one of the most important tasks for a sales rep. It is also estimated that at least five phone calls after meeting for the first time can be made by a sales rep. But remembering conversations and trying to fit in those five phone calls can be a real challenge when you’re trying to balance a number of clients. Because according to sales it is not your client's job to remember you; it is your obligation and responsibility to make sure you are unforgettable. It becomes necessary to have a reliable system to streamline your client communication. Investing in Salesfundaa CRM software enables you to manage this for you. You’ll have a complete record of your communication with each client to reference in the future. You know you need to stay on top of all of your contacts, but with so many to manage, it can be tedious. Your system should choose the leads to contact for you. Through a reminder system, you can set rules that will prioritize the most important leads. You can set reminders for all your leads and their engagement and rank them based on their likelihood to convert. When you go to contact a lead, you'll also get a clear picture of their history with your company and past communication, which will allow you to better communicate with them. When a lead comes in you can immediately assign it to the concerned sales rep. Leads shouldn't be distributed at random. Instead, categorize them by assigning each rep to a specific territory or region. This way you're not only saving time - you're also earning more money. And in line with the systematic workflow. Reporting is vital to your business and its contributes to its continued improvement. But you need to rearrange your priorities if you're spending too much time generating reports and not enough time making sales. Salesfundaa CRM software system can set up automated reports for you. Now integrating the Salesfundaa CRM software on your mobile device enables Sales executives on the field to do reporting of daily sales calls from their mobile. That saves them time and energy and its like being in the office even when they are on a call. A Salesfundaa CRM software system that can integrate with other forms of technology is what your should be looking for. But that does not mean you can compromise on your needs. Make sure the system suits your needs, the needs of your sales team and the needs of your business.It should be able to scale to meet the demands of your organization, is open to fit into your current and future technology systems and enables your teams to engage uniquely and authentically with every person." Call Salesfundaa CRM on 9235 35 35 35 for your unique Automated software for Sales Today.